How do contaminants from municipal wastewater treatment plants and runoff containing pesticides in the New Jersey Pinelands affect the development of fish and frogs? How will future development affect communities up and down the Delaware River, and what’s the best way to protect the environment there? How do you convince farmers to adopt new, eco-friendly ways of managing their land so fertilizers and animal waste don’t pollute the nearest stream? These are some of the quandaries that 10 federal, state, private and university research teams will be tackling over the next three years thanks to $4 million in research grants announced today by the Academy of Natural Sciences of Drexel University. The grants are funded by the Delaware Watershed Research Fund, established with the support of the William Penn Foundation, to inform and advance on-the-ground conservation work including efforts currently underway as part of the Delaware River Watershed Initiative. The Philadelphia-based philanthropy so far has committed $60 million to 48 nonprofit organizations in the initiative, including the Academy, who are working together to reduce threats to water quality in eight carefully selected areas within the larger Delaware River Watershed. 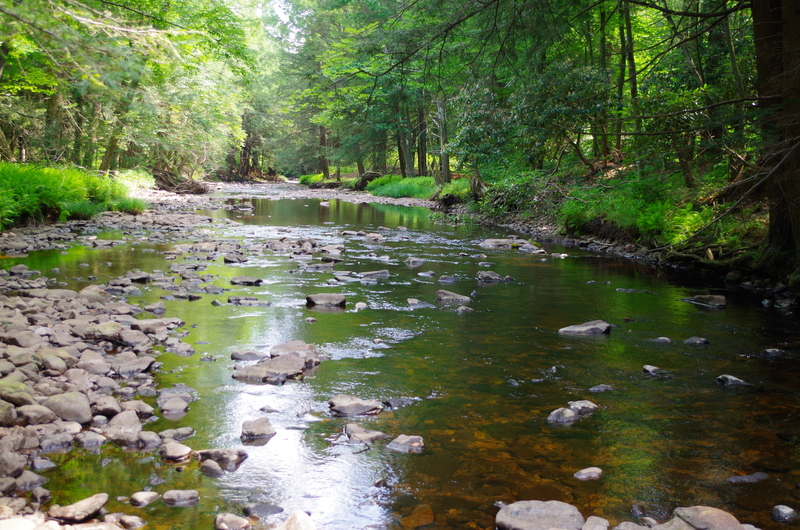 “We are excited about the positive impact this research is likely to have in advancing watershed protection across the Delaware River basin and beyond,” said Andrew Johnson, watershed protection program director at the William Penn Foundation. The Delaware River Watershed covers more than 13,500 square miles in Pennsylvania, New Jersey, Delaware and New York. In addition to its ecological significance, the watershed is a major source of drinking water for 15 million people and supports an array of clean-water-dependent businesses valued at $25 billion per year. 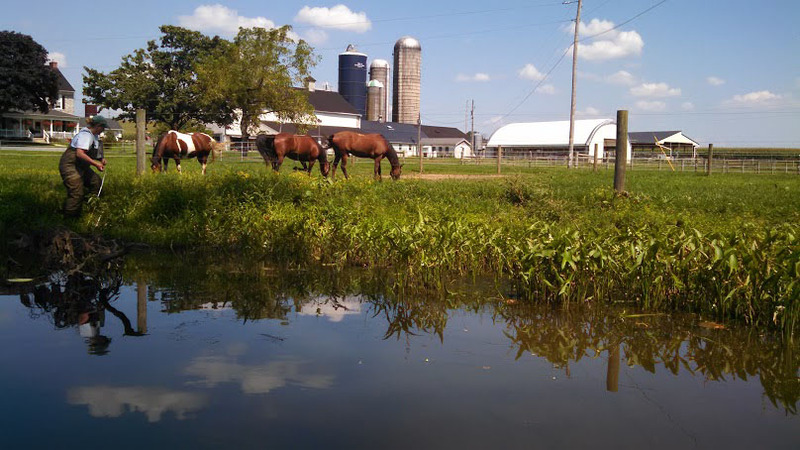 While the Delaware River’s health has improved significantly over the last 50 years, many streams and rivers flowing into it remain impaired by contaminated water flowing from farms, streets, wastewater treatment plants, and other sources. The DRWI was formed in early 2014 to monitor, combat and clean up these problems and to advance work to permanently protect the cleanest water in the system. In April the Academy announced $200,000 in water-related research grants to four Drexel University professors, three in the College of Engineering and one in the Dornsife School of Public Health. 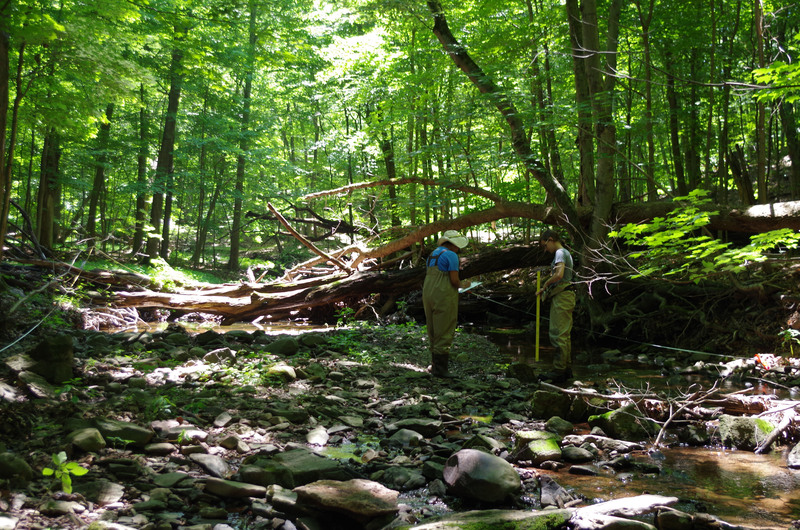 Under those grants, Drexel faculty and students are researching issues including water quality, contamination, environmental restoration, and future impacts on the watershed. -John Bunnell, chief scientist with the New Jersey Pinelands Commission, and Kelly Smalling, research hydrologist with the U.S. Geological Survey, who will study the effects of municipal wastewater and runoff containing pesticides, plant hormones and components of commonly used products on the development of fish and frogs. -Thomas Fikslin, director of science and water quality management, and Namsoo Suk, manager of water resource modeling, both with the Delaware River Basin Commission, who will create a scientific model that will provide a basis for regulation agencies to establish water quality criteria for dissolved oxygen and nutrients in the Delaware Estuary. -Heather Galbraith, research fish biologist with the U.S. Geological Survey, who will lead a USGS team that will develop fine-scale temperature models and relate them to fish and mussels. -JeanMarie Hartman, associate professor at Rutgers University, who will lead a team from the Center for Watershed Protection and the Pinchot Institute for Conservation that will analyze municipal forest protection policies and determine which regulations are the most effective. -Kristina Hopkins, research physical scientist with the S. Geological Survey, who will lead a team from the USGS and National Oceanic and Atmospheric Administration that will analyze the ecological processes and ecosystem services of floodplains in order to inform conservation and restoration efforts. -Claire Jantz, professor at Shippensburg University, who will lead a team of scientists from Shippensburg and Woods Hole Research Center that will link models of land cover change, climate change, hydrology and tree species to address the impacts of future development and environmental change. -Gary Lovett, research scientist, and Katherine Crowley, plant ecologist, both of the Cary Institute of Ecosystem Studies, who will develop a model of nitrogen and carbon cycling within forested watersheds aimed at helping better manage environmental changes. -Kent Messer, director of the Center for Experimental & Applied Economics at the University of Delaware, and Paul Ferraro, professor at Johns Hopkins University, who will analyze the effects of inducing behavioral change among farmers and homeowners to improve the environmental quality of the watershed. -James Pizzuto, professor at the University of Delaware, who will lead a team of scientists at the University of Delaware, University of Minnesota and the Stroud Water Research Center that will analyze sediment restoration efforts on the White Clay Creek in Chester County, Pa., in order to guide future restoration work. -Andrea Welker, professor at Villanova University, and Stanley Kemp, assistant professor at the University of Baltimore, who will evaluate the effectiveness of storm water controls at a large development at Granite Run Mall in Middletown, Pa.